Muay Thai is a form of hard martial art practiced in large parts of the world, including Thailand and other Southeast Asian countries. Muay Thai has a long history in Thailand and is the country’s national sport. Muay Thai is referred to as “The Art of the Eight Limbs“, as the hands, shins, elbows, and knees are all used extensively in this art. A practitioner of Muay Thai has the ability to execute strikes using eight “points of contact,” as opposed to “two points” (fists) in Western boxing and “four points” (fists, feet) used in the primarily sport-oriented forms of martial arts.  Classic Fight Team Women’s Kickboxing Bootcamp’s mission is to provide a safe, supportive, empowering environment for women interested in an alternative form of fitness that encourages a healthy mind, body, and spirit. Classic Fight Teams Future Fighters and Little Warriors program focus on strong character development for your child. Martial Arts changes lives and set the path to becoming a successful adult. Discover the endless benefits your child will experience with martial arts training. Bring your child in to take advantage of the free trial. This class is where you start if you have not had any previous training in Muay Thai. Here you will learn fundamentals including proper stance, footwork, basic punches, kicks, the rear straight knee, and basic elbow techniques. Techniques are practiced via various partner and solo drills. Students are given an introduction to the proper use of Thai pads, focus mitts and belly pad. Students will use these training tools in class, with a partner, and begin to put together basic techniques. Your level of fitness, both cardiovascular and muscle strength will improve with consistent training and prepare you for the next class level. This class is reserved for students who have mastered fundamental techniques and have achieved an advanced level of fitness. 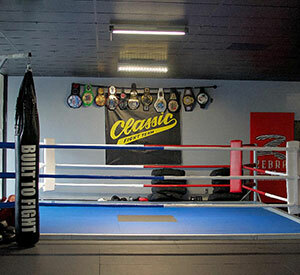 Advanced students spend their training time doing pad work, either with a trainer, or another student of the same level, drills and/or sparring. Trainer approval is required before students move from intermediate to advanced classes.